Spray 8x8 in. glass dish with cooking spray. 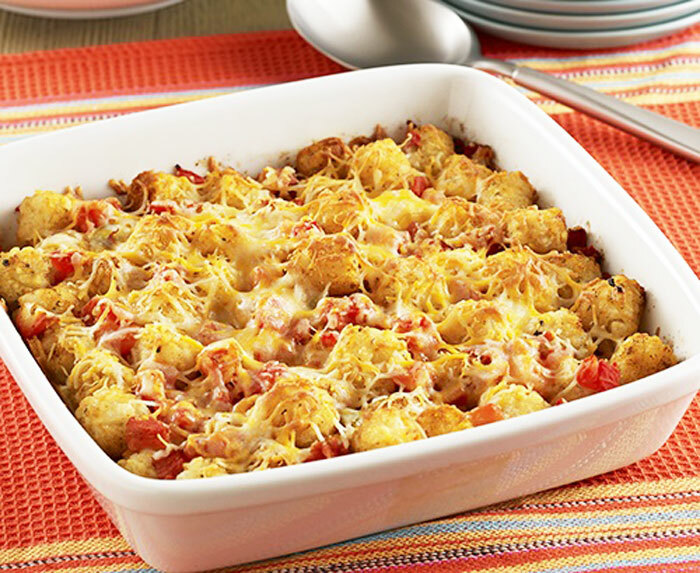 Arrange potato puffs, red peppers, green peppers, yellow peppers, red onion, and tomato in the dish. Sprinkle taco seasoning evenly and mix together. Bake for 22-26 minutes or until potatoes are crispy, gently stirring halfway through. Take dish out from oven and sprinkle evenly with cheese. Bake for an additional 4-5 minutes or until cheese is melted.